* Warning!! We Can Make You Very Popular on Instagram Whether It's for Personal, Business, or Fun!! Already have a user? Login first. The following information helps us to know the demographics of your account and to better create a growth profile. Valid in all countries where Instagram is available. By registering, you agree to receive sms messages from iBoom. Your privacy and security is very important to us and we won't spam or share your information. There are over 1 billion Instagram accounts. How do people even know your account exists? iBoom makes people aware of your account by engaging with active, targeted people. You help us decide who to engage with and where to get followers from, iBoom does the rest for you. iBoom will bring real, targeted, and engaged followers to your account while you focus on Engaging with them. "If you can't measure, you can't manage." iBoom provides helpful reports to help you optimize your growth. Know where you are getting followers from, who your top engagers are, and account progress. "I went from 384 followers to now over 50,000 followers and just closed a contract for over $75,000 from a sponsor." 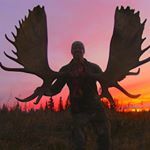 "After discovering her audience and planning a strategy, Sarah bounced from her initial 300 followers to 45,000+ Real Engaged Followers." 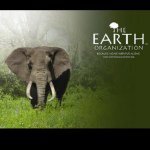 "Using iBoom The Earth Organization has been able to broaden their outreach and so far they have been able to reach 79,000+ Real Engaged Followers"